A count to 10 worksheet that’s perfect for the 4th of July, or any time! 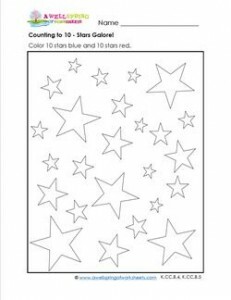 Have kids count and color 10 stars red and 10 stars blue. All you need is fireworks!